The Hot Frittatas is Northern California’s newest ensemble for European musette style dance music. 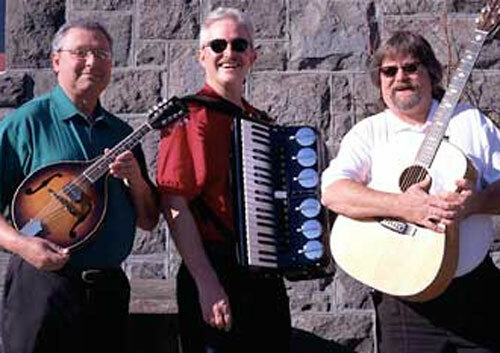 A trio of accordion, mandolin/fiddle, and guitar, they have appeared the last four years at the Santa Rosa Festa Italiana , sponsored by the Northern Californin Italian American Cultural Association. They have also played at the popular Cotati Accordion Festival and the Sonoma County Harvest Fair , as well as numerous wineries and fine restaurants, such as Chez Panisse in Berkeley and Pasta Bella in Sebastopol. In addition to the traditional Ballo Liscio style of Italian music, they are equally adept at French cafe music, Klezmer, Latin American tango and choro music. With just a little encouragement, they can easily launch into Cajun and Zydeco styles as well. Their first CD, Caffe Liscio , was released in April, 2001 and is now in it’s second printing. This entry was posted in World Music. Bookmark the permalink.